With much of Colorado under a blizzard warning, hundreds of flights were canceled at DIA. This meant that the usually busy airport security line looked more like a ghost town. 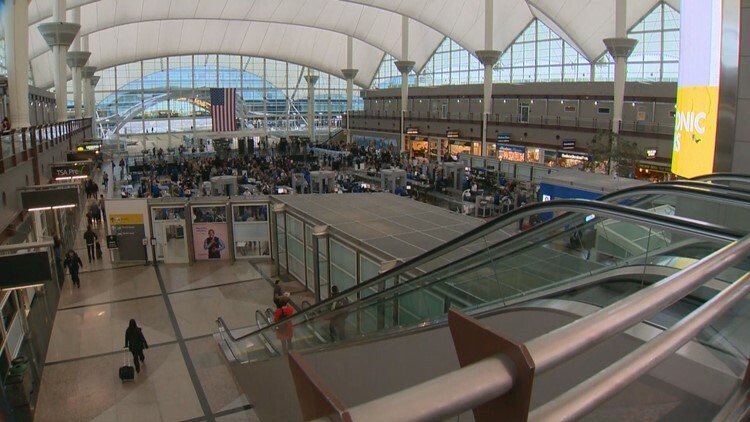 DENVER — It makes sense: given that a bunch of flights were canceled, folks felt no need to participate in the necessary evil of the security line at Denver International Airport Wednesday afternoon. Also, reporter Noel Brennan confirms the bar was fairly busy. About 730 flights out of DIA were canceled as of noon on Wednesday. This isn't as many as during the last blizzard -- which reached bomb cyclone status in Denver (this one has only had the necessary pressure drop in Kansas). During the March storm, more than 1,400 flights at the airport were canceled, and Pena Boulevard was closed. On the topic of crowded places that are usually busy, during the first blizzard, Speer Boulevard looked like it would during a zombie apocalypse (minus the undead).